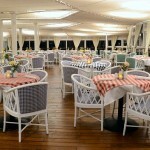 Enjoy a long weekend escape on board the "Celestyal Olympia" cruise ship departing from Athens. Visit cosmopolitan Mykonos, breathtaking Santorini & historical Crete - three of the most famous Greek islands in the world - as well as Patmos, the island of the Apocalypse, and magnificent Ancient Ephesus. * Disembarkation by tenders (boats), weather permitting. - During the year 2020 the cruise will call in Patmos at 16:30. - Embarkation/disembarkation possibilities also from/to Kusadasi and Crete. both ways private transfers between Athens and the cruise port. Why to take this package deal? Athens, the city close to the cruise port is more than just the place your cruise begins and ends; it's an exciting and world renowned destination! 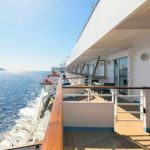 If you have to take an overnight flight or a long haul flight you need at least a day to recover, otherwise the first day or two of your cruise can be an absolute waste. It functions as a "safety-cushion" in case of flights' or other delays. It is a convenient way to get by pre-arranged transfers from your hotel to the pier and back. Like this you avoid to carry heavy luggage in public means of transportation. as well as information on available upgrades. It is important to know that only clients of Dolphin Hellas may have their comments and ratings here and only for the services they received by our travel agency; this means that these are real testimonials by real travellers. Great cruise. Perhaps they should consider replacing one of the many bars into a mini-cinema. A wonderful cruise unfortunately 3 days is too short for the itinerary. Also I believe too pricey for the short duration. I think for the price the food should have been better. 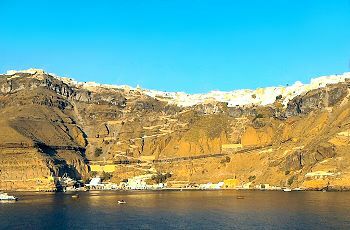 We love this cruise and all the islands visited, especially Santorini. The only complaint is that we seem to arrive at almost all the islands in the late afternoon and early evening just before it got dark! Overall good cruise! The Iconic Aegean cruise was the icing on the cake for our trip! We got to explore Greece and see so many different islands in a short period of time which was important to us because it was my husbands first time outside of the US. We went to Kusadasi, Crete, Patmos, Mykonos, and Santorini. We were both amazed at Greece's beauty! The cruise staff was so friendly! We made friends with many of the crew members. They were truly amazing and accommodated any requests or any questions we had. The food was great! We always had our frappe fix in the morning to start off our daily adventures! Uli recommended this cruise to us & it was perfect for the amount of time we were in Greece! I would recommend to anyone that doesn't have a long period of time in Greece but wants to explore the many islands of Greece! This was the highlight of my time in Greece. The cruise was excellent. The free upgrade in cabin was also a welcome surprise. The land tours for the cruise was also excellent. Dolphin Hellas did an excellent job in helping us book the land tours. It was challenging because we decided on the land tours later on, after booking the cruise. There was an amount of coordination that was needed. Really appreciate Ms Uli Perschau from Dolphin Hellas in assisting us in booking the tours and the cruise. We really enjoyed the 3-Day Iconic Aegean by Celestyal Cruises. The ports of call were exactly what we wanted. We participated in the cruise excursion in Patmos, and that was very interesting. We hired a private tour guide for Ephesus and enjoyed having flexibility in timing and sites. Ephesus was phenomenal; we would like more time there. Staff on the cruise ship was AMAZINGLY friendly and helpful. 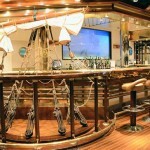 Some may note that the ship is a little dated, but it was clean and fully functional. We had a cabin with a window; the light was great as well as the ocean view. Food was plentiful. Entertainment was good. It was so relaxing and enjoyable. We would definitely repeat this cruise and would enjoy longer ones as well. Lovely, and perfect tour for my family. All of the staffs are very kind and the served foods are the best.